WISEglass: Glasses that Monitor What You Do « Adafruit Industries – Makers, hackers, artists, designers and engineers! 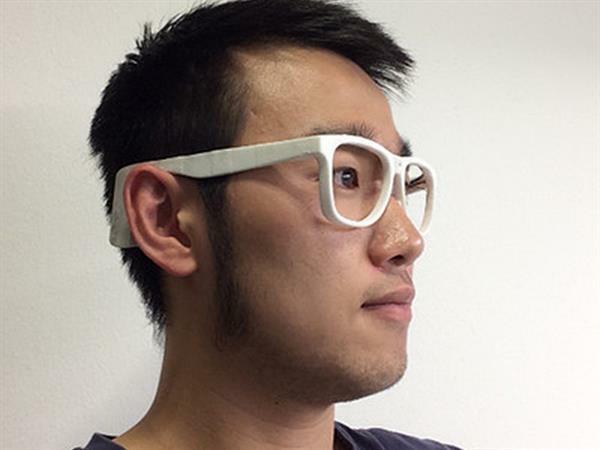 The idea is to create a normal looking pair of glasses that acquire data rather than display it. These glasses can then be utilized to recognize our activities and reduce the need for manual inputting of data into our phones. The initial tests have been quite successful in differentiating between movement activities, screen time, reading and eating. There is a project associated with WISEglass that monitors what you are eating based on chewing. This project utilized 3D printed frames encapsulating the electronics. This pair of glasses is using electromyography (EMG) to record muscle contractions while chewing food. A key step towards diet logging.